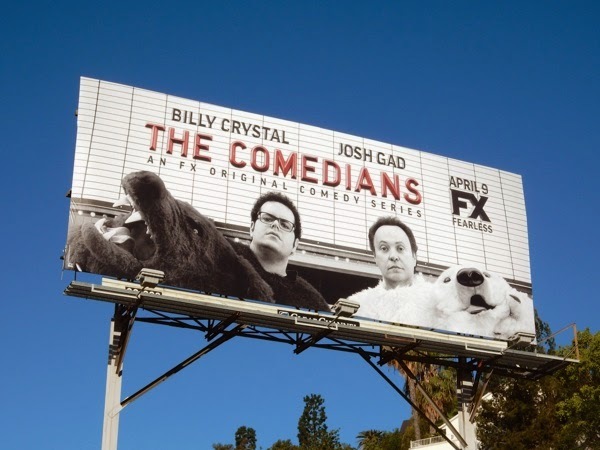 What could be funnier than two guys dressed in bear suits, why Josh Gad and Billy Crystal in bear suits, that's what. 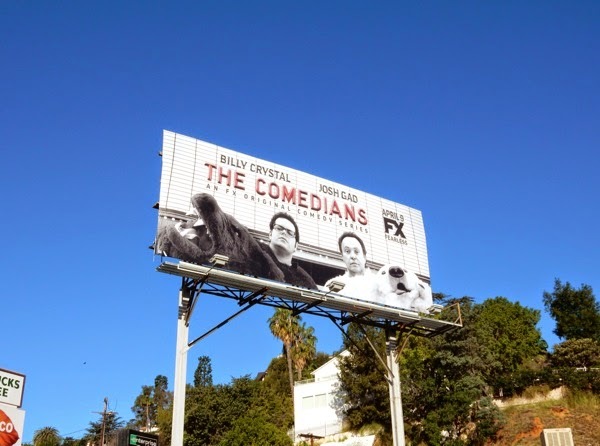 CBS may have its own odd couple at the moment in the form of Matthew Perry and Thomas Lennon, but this Spring in The Comedians, FX is reluctantly pairing veteran funny guy Billy Crystal with the up-and-coming edgier comic, Josh Gad, for a behind-the-scenes look at a late-night comedy sketch show where egos and eras collide. Can the faux show's writers and assistants keep these two stars working together as the generation gap and their differing ideologies threaten to tear them apart. In real life the City Slickers and When Harry Met Sally... star has more in common than his younger counterpart than you'd know, as they've both voiced hit Disney animated characters, Billy Crystal provides the voice of the one-eyed 'Mike Wazowski' in the Monsters Inc. film franchise, whilst Josh Gad voiced 'Olaf the Snowman' in the mega-popular Frozen. 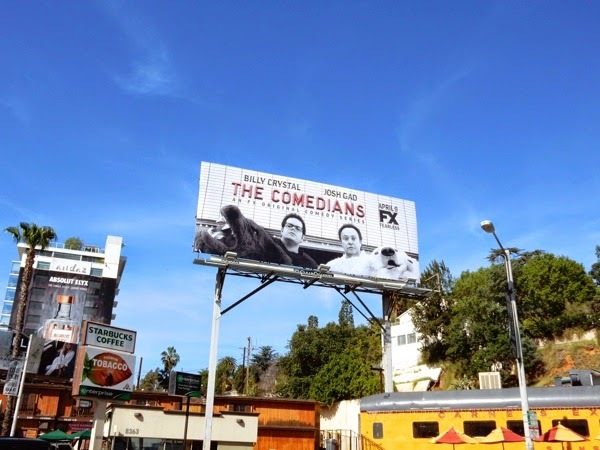 This series premiere billboard for The Comedians, where no one is laughing, was first spied along West Hollywood's Sunset Strip on March 16, 2015. 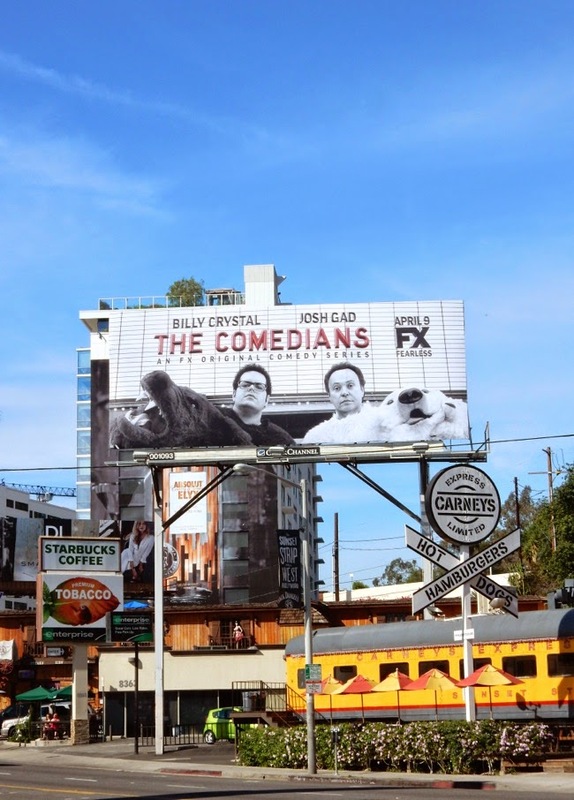 You could also spy Josh Gad recently in these movie billboards for The Wedding Ringer alongside Kevin Hart, another rising comedy star. 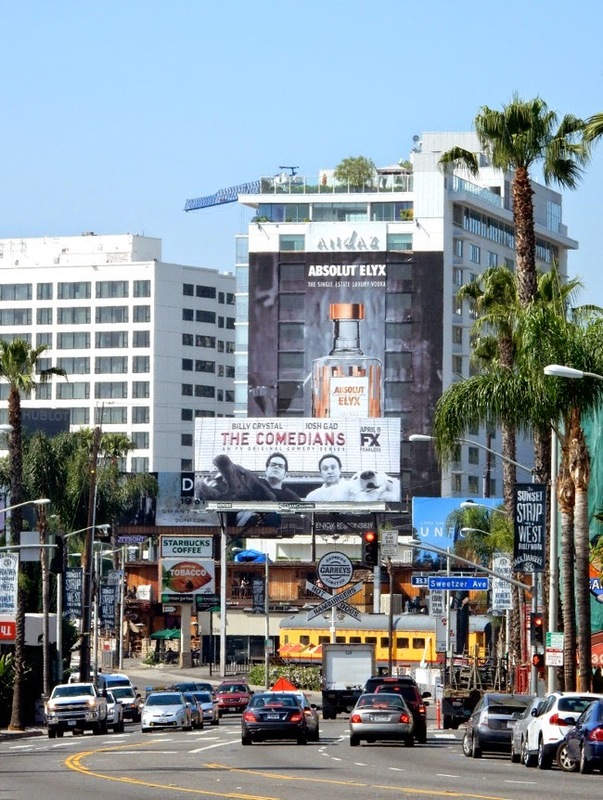 Even if The Comedians isn't a huge success, you can bet Josh Gad will be laughing all the way to the bank with the recent announcement that Disney is making Frozen 2.